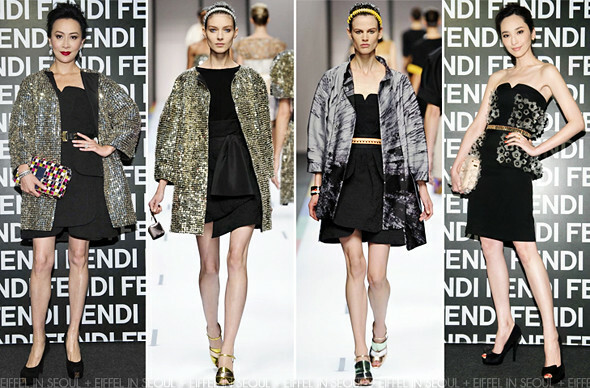 Fendi celebrated its new store opening at Taipei 101 held on May 14, 2013 in Taipei, Taiwan. Carina Lau (刘嘉玲), Pace Wu (吳佩慈), Bianca Bai (白歆惠) and Christine Fan (范瑋琪) were among the attendees. Carina Lau (刘嘉玲) was clad in a glamorous sequin coat from Fendi Spring/Summer 2013 collection. A strapless black dress, Fendi pumps and 'Baguette' to complete her look. Love the red lips. Pace Wu (吳佩慈) opted for a black strapless dress with floral embellishments. Her look was accessorized with a Fendi bag as well as black bow open-toe pumps. Bianca Bai (白歆惠) wore a white gown with a revealing back. Printed 'Baguette' clutch and silver bow open-toe pumps to complete her look. The same dress was first seen on Zhang Ziyi (章子怡) at 2013 Sina Weibo Night held earlier this year. 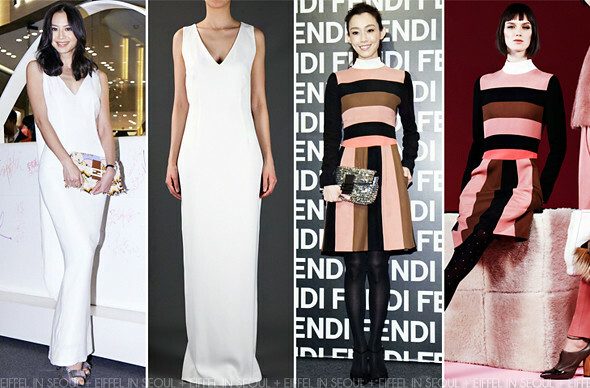 Unfortunately, Christine Fan (范瑋琪) was my worst dressed at the event in a color-blocked long sleeve dress from Fendi Pre Fall 2013. The only good thing about her look is probably the beautiful sequin 'Baguette' clutch.